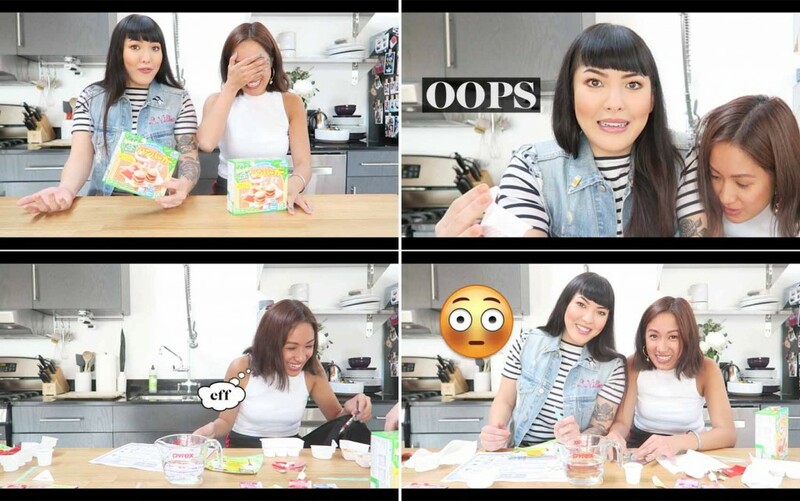 I went to LA a couple of weeks ago and was able to hang with my girl Stephanie Villa of Soothingsista so we decided to do a video collab! I’ve never heard of this but she bought us some Kracie Popin Cooking Burger and Fries kit (that’s supposed to be a cool cooking kit for Japanese children) and we had to make them ourselves. It was the most confusing thing ever hahaha! Anyway, watch the video below to see the end results or go straight to my YT channel by clicking HERE. Fact: The first time I met Stephanie was in Singapore Digital Fashion Week three or four years ago and honestly, I think she’s one of the coolest girls ever. You know how you can just instantly tell someone is genuine and real? She’s that gal. We don’t hang out a lot (duh) because she’s based in the US, but if you make us live in the same city— we would for sure!!! Anyway, if you enjoy watching this video, check out my other challenges and tutorials and don’t forget to SUBSCRIBE! BMS.